Classes for everybody seeking a goal. From fitness to martial arts. Any level with a simple goal, to improve! Classes run Monday to Saturday. 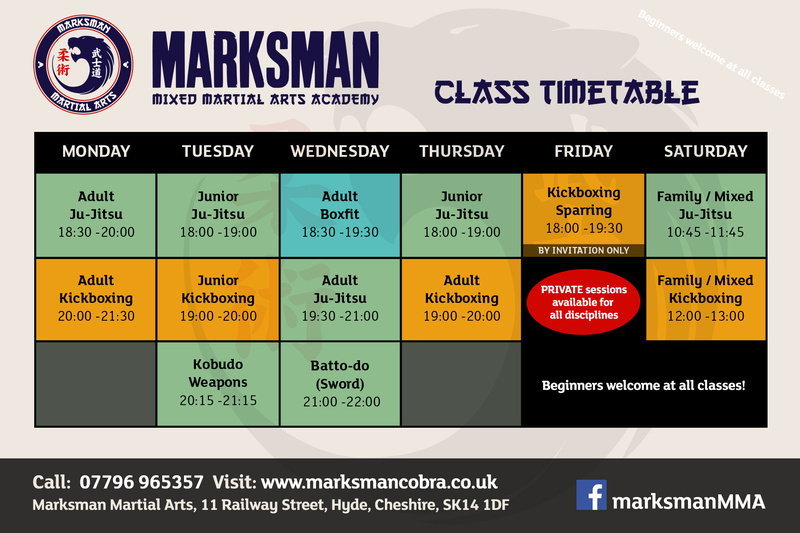 Marksman Cobra - Mixed martial arts academy in Hyde offering both skill and fitness based classes for all ages.